Fashion and textile apprentices in Scotland are encouraged to enter the latest edition of the Scottish Apprenticeship Awards. 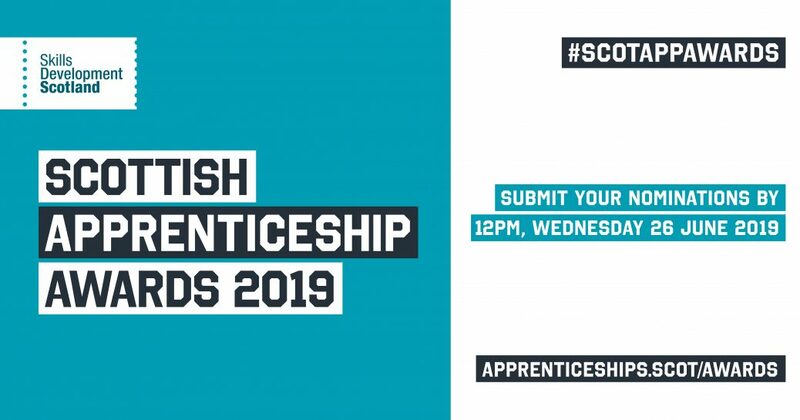 Now in its 18th year, the awards bring together apprentices, employers and training providers from all over Scotland to celebrate the contribution apprenticeships make to the economy. As well as recognising the achievements of Foundation, Modern and Graduate Apprentices themselves, awards will applaud individuals who champion apprenticeships. Employers of all sizes will also be recognised, including those who can demonstrate diversity in their recruitment of apprentices. Winners will be revealed at a ceremony in November and one will be named Scotland’s Apprentice of the Year 2019. The deadline for nominations is noon on Wednesday, 26 June. UKFT is also responsible for registering and certificating apprentices across the nations. UKFT also took over the management of Textiles Scotland (STLA) in January this year and is developing a full strategy for the Scottish industry, focused around leadership, innovation, internationalisation, skills and investment.